The image above is from a 1965 Frigidaire print advertisement. 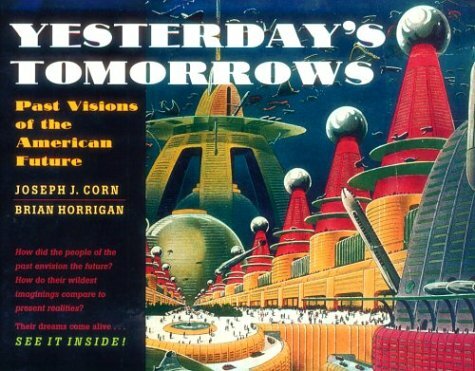 The futuristic style reminds me of the New Christy Minstrels album cover we looked at a few years ago, though the faux-wood paneling on that fridge doesn't scream "space age" to me. 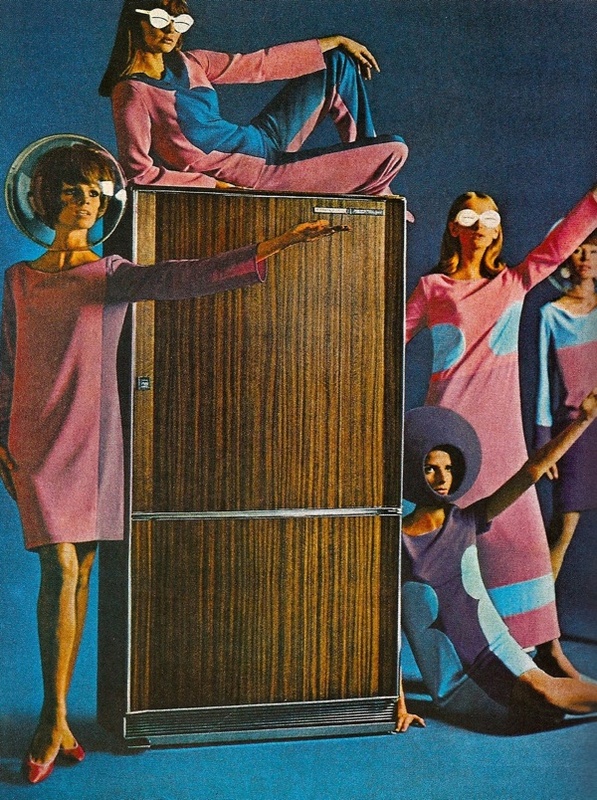 The ad was found in the book The Golden Age of Advertising - The 60s, cropped just as you see above, but I'm curious if the original ad had any interesting copy to justify the space age ladies pictured. Read more about kitchens of the future here.